When we think back to our primary school days (however long ago that might be!) we often remember the fun and games rather than our classroom experience. Another fond memory in the classroom was the educational sing-songs and the assembly songs that we still can’t seem to forget even after all these years. The singing activities that we fondly look back on and remember so vividly are sadly dwindling in the modern day primary school environment. Presently, there is a tendency for musical education to be seen as an optional extra, an entertaining break for the children after a day’s teaching. However, Primary School Music is a fundamental part of a child’s educational development and should be further integrated as an important musical resource to be used in conjunction with the school curriculum. So why is Primary School Music so important in the classroom? Musical stimulation increases a child’s listening and concentration skills, enabling children to differentiate between varying phonetic sounds. This skill improves phonetic awareness, helping to develop children’s speech, reading and communication abilities. Music is also an important group activity, promoting inclusion but also developing leadership skills in a structured singing environment. Another important factor of Primary School Music if given the chance to perform, is increased confidence and a heightened level of enjoyment. Although some primary schools do incorporate music into their curriculum, many schools do not take advantage of the musical resources that are available. Often, teachers lack confidence in teaching music and the schools are reluctant to employ staff that are specialists in the musical field. However, with musical resources becoming more readily available, it is now even easier for teachers and staff to include musical learning into their classroom. 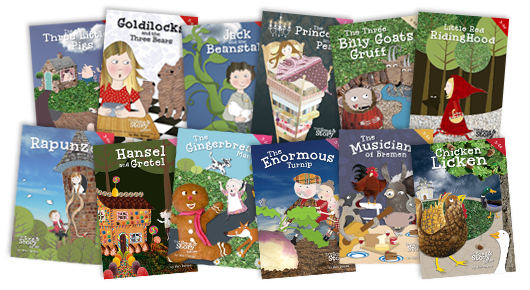 Storybooks are a great way of combining story time with musical songs. These stories include important social lessons and using melody, children remember much needed social and environmental skills that will prepare them for later life. Primary School Musicals are another great musical resource as they give children focus and the ability to concentrate on a particular subject. Whether the musical has a historical significance or simply teaches children about the world around them, performing and learning songs means their teachings stick with them for life. Songbooks are also a great everyday resource to have with you in the classroom. With short songs available across many different subjects, songbooks can provide the perfect aid to a classroom environment. The songs break up the monotony of verbal teaching and keeps the children stimulated throughout the school day. Taking all this into consideration, Primary School Music needs to be thrown heavily back into the school curriculum in order for children to be fully prepared, both academically and socially, for their next steps into adulthood. With a plethora of great musical resources available, you will be soon experiencing children singing their academic success!